Hundreds of Swiss and other continental visitors are arriving at Barbados Free Press to read our articles dealing with CLICO and Leroy Parris. The trend started early last night and started to taper off about 11am Bridgetown, which is 5pm in Zurich, Switzerland where many (but not all) of the visitors originate. While most arrive through various Swiss and European telecom companies, a sizable number indicate the in-house networks of “UBS AG” and “Credit Suisse”. Barbados Free Press has no idea why these visits are happening, but it seems obvious that the story links are being sent around via email because they are NOT originating from a single referrer as happens when another blog or website puts up a link to one of our stories. The first-time visitors are arriving primarily at four stories and then spend an average of just under 9 minutes cruising around other Barbados Free Press CLICO/Parris articles. This loiter time, according to our own Cliverton, is really something. September 24, 2009: Report: Leroy Parris ‘may retire’ from CLICO. Question: Would they dare fire him? 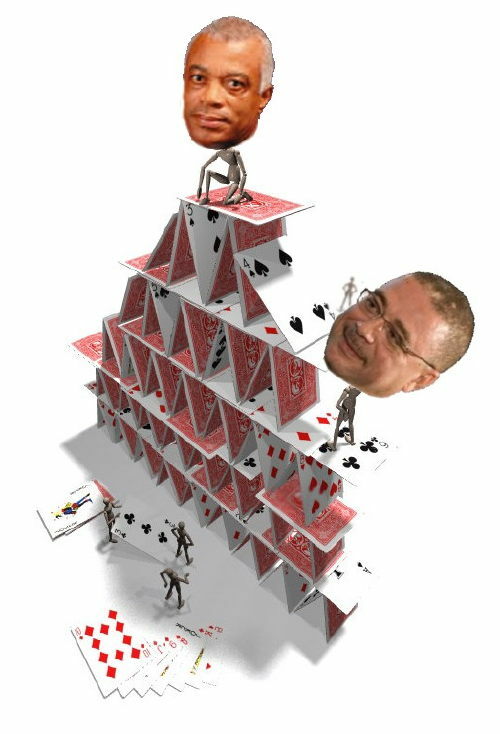 June 2, 2009: EXCLUSIVE REPORT BY BARBADOS FREE PRESS: CL Financial Group Collapse – Insiders Took Bribes To Have Company Purchase Land For More Than Market Value! If you are a visitor from a Swiss financial institution, please tell us what is happening. Thanks!